Every New Year’s Day many of us commit to New Year’s resolutions like going to the gym, taking better care of our health or eating more healthy. In short: we give priority to our health when it comes to resolutions. The problem is that most of us lose these healthy habits within just a few weeks because we don’t get to see any immediate results, we lack the motivation or we’re having a wrong approach. This is the reason behind us recommending the top 10 Android healthcare mobile applications that will help you fulfil these resolutions about taking a little more care of yourselves with the help of new technologies and our Android mobile devices. 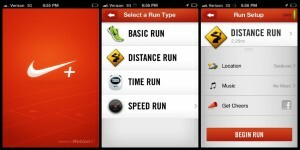 Nike+ Running: Nike’s app is a benchmark healthcare app among runners. It offers several possibilities to monitor your physical activity. By incorporating GPS and geolocation, it calculates the kilometres you have run and the time it has taken you to do so. Overall, the app tracks distance, pace, time and the calories you burn − independently of whether you train indoors or outdoors. You can set goals that will help you improve your personal marks. It also gives you access to Nike+ Coach, a feature that will turn your smartphone into a trainer that is suitable even for large endeavours like marathons. And with Nike+ Photo you will be able to take pictures during your training sessions and share them with other runners. If you’re a fan of cardio and − besides running − you are also a great fan of cycling, you cannot do without downloading a healthcare app like this one to help you control your running or cycling itinerary. Endomondo: the healthcare and training app for Android Endomondo comes as a personal trainer that is suitable for many different kinds of sports and fits in your pocket. 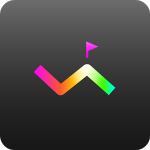 This Android app helps you get motivated and makes running, biking, walking, kayaking or other kinds of exercise fun. Endomondo tracks your physical activity and analyses it; you can keep track of your heart’s activity by connecting a gadget for that purpose, making it a responsible way of protecting your health and improving your welfare through a mobile app. To tone up their bodies, many choose to follow specific routines. But which one will work better for us? This kind of apps are indispensable in your daily training. 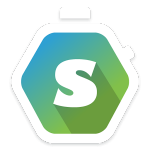 Skymble Personal Trainer: this application is strictly a personal trainer and focuses on creating an exercise routine with clear objectives right away from day one. There is a free version, but to enjoy all its possibilities you can become a ‘pro’ or a ‘pro+’ user. This is how this mobile app is monetised. Although its free version works well, once you’re done with the basics you will want to buy its feature packs. It also has a calorie counter that estimates the calories you burn with the exercises you perform. It’s very likely that the following will not come as a surprise to you: one of the simplest ways of having a robust health is through your diet. The diet one follows is critical. You be able to take care of your wellbeing more easily with these healthcare apps to watch over your diet. My Diet Coach: losing weight in a healthy manner is not the same for men than for women. Male and female bodies work and burn calories at different paces and in different ways. This is why this healthcare app is important. My Diet Coach is an app that focuses on diets for women. This app’s most important elements are motivating to avoid eating snacks between meals, banning certain foods in certain kinds of diets and creating good eating habits. Are you up for trying it? Control your weight with RecStyle: this healthcare app proposes a smart way of following a diet for those with a ravenous appetite and without having to undertake great efforts. You can establish a diet that focuses on the objectives you pursue, which can be either to lose weight, gain muscle or burn up fat. It’s very simple to understand and to use. Even interpreting the graphs of your evolution is easy. The best thing about this app is that all its features are free and don’t require additional downloads. “Recetas saludables libres” (Free Healthy Recipes): how can we eat healthy if we don’t know how to cook? With this healthcare app it’s very easy to watch over your diet and take care of yourself. Thanks to these handy free healthy recipes we can avoid putting on weight and plan our menu hand in hand with our daily workout sessions. However, having a robust health goes beyond eating healthy and exercising, as there are many other factors involved in a healthy lifestyle and in increasing our welfare. MacroPinch’s Cardiograph: a cardiograph on your smartphone. If you suffer from a heart condition or would like to monitor your heart rate when practicing sports, it will be useful to have this application on your mobile phone. It works without the need of any external hardware or gadgets, simply by using the sensors and the camera included by default in your smartphone. It’s also one of the first healthcare apps to be compatible with Android Wear, thus being able to exploit the possibilities that healthcare wearables provide. Shall we try it? “Tensión arterial” (Blood Pressure): with this healthcare app you’ll be able to keep track of your blood pressure and even monitor it graphically. You’ll also be able to send data and graphics by e-mail or SMS to any of your contacts and thus also be able to inform your doctor, make a backup copy, etc. 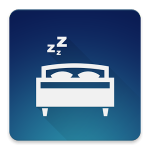 Runtastic Sleep Better: sleeping well is key. With this application you’ll manage your hours of sleep and optimise them. The app records your sleep’s quality, monitors your dreams and improves your habits related to going to bed with the aim of getting you to wake up better every morning. You can take notes on how your sleeping routine evolves to know how you respond to the amount of rest you get each day. Time to quit smoke: do you smoke? In case you do, well, it’s time to quit. This bad habit is among the worst when it comes to your health. Following an impeccable diet and practising sports regularly will not counter the adverse effects of smoking. This healthcare app will help you to leave gradually this bad habit behind. Do you accept the challenge? Which healthcare mobile applications do you use daily? Or if you don’t use any because they don’t fit your needs, do you have a healthcare mobile app in mind? What about carrying out this idea with us? Post your app project!